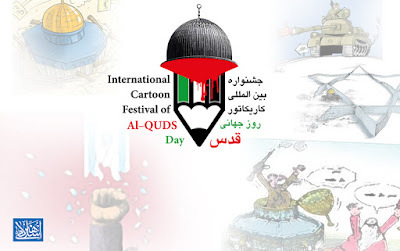 2nd International Cartoon Festival on International Al-Quds Day 2018, Iran..
122 cartoonists from 26 countries participated in the "2nd International Cartoon Festival on International Al-Quds Day". From countries of Azerbaijan, Argentina, Jordan, Uzbekistan, Algeria, Indonesia, United Kingdom, Italy, Iran, Brazil, Turkey, Tunisia, China, Syria, Chile, Iraq, Palestine, Croatia, Kenya, Lebanon, Morocco, Egypt, Venezuela, India, Yemen And Greece. The selection board of "2nd International Cartoon Festival on International Al-Quds Day" met in Tehran and three artists from the well-known Iranian cartoonists Mrs. Effat Amjadipour and Mr. Ehsan Cheraghi Iranshahi and Shahram Shirzadi were evaluated cartoons. At the end of the selection board meeting, 55 of the 312 works participated in the exhibition and the arbitration stage. These cartoons will be displayed on the site of the festival and on the site of Resistance art From Saturday to Wednesday in order to be authenticated by the artists. 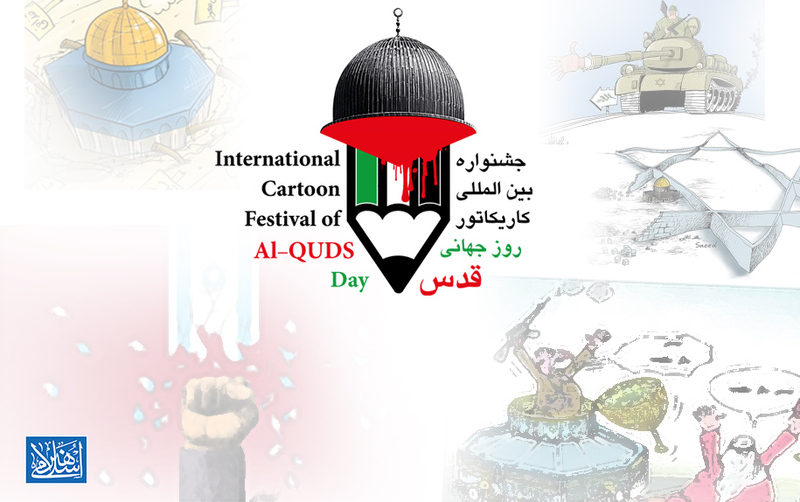 Cartoonists and experts are required to report any violation of the rules of the competition, such as "fraud," "artistic theft," "being old" or "taking part in other exhibitions", in the existing works, By e-mailing the festival (icfoaqd@gmail.com). The maximum deadline for submitting violations is Wednesday, August 22. Coinciding with the Arrival of Holy Ramadan 1439 AH, the "AhlulBayt News Agency – ABNA”, in cooperation with the “Committee For Supporting The Islamic Resistance Of Palestinian People”, " Qods News Agency – QODSNA)" and “Islamic Art Portal Site” (Www.Islamicartz.Com) is going to hold the 2nd International Cartoon Festival on International Al-Quds Day.